Re-directing mesenchymal stromal cell (MSC) chondrogenesis towards a non-hypertrophic articular chondrocyte-(AC)-like phenotype is important for improving articular cartilage neogenesis to enhance clinical cartilage repair strategies. This study is the first to demonstrate that high levels of non-canonical WNT5A followed by WNT11 and LEF1 discriminated MSC chondrogenesis from AC re-differentiation. Moreover, β-catenin seemed incompletely silenced in differentiating MSCs, which altogether suggested a role for WNT signaling in hypertrophic MSC differentiation. WNT inhibition with the small molecule IWP-2 supported MSC chondrogenesis according to elevated proteoglycan deposition and reduced the characteristic upregulation of BMP4, BMP7 and their target ID1, as well as IHH and its target GLI1 observed during endochondral differentiation. Along with the pro-hypertrophic transcription factor MEF2C, multiple hypertrophic downstream targets including IBSP and alkaline phosphatase activity were reduced by IWP-2, demonstrating that WNT activity drives BMP and hedgehog upregulation, and MSC hypertrophy. WNT inhibition almost matched the strong anti-hypertrophic capacity of pulsed parathyroid hormone-related protein application, and both outperformed suppression of BMP signaling with dorsomorphin, which also reduced cartilage matrix deposition. Yet, hypertrophic marker expression under IWP-2 remained above AC level, and in vivo mineralization and ectopic bone formation were reduced but not eliminated. 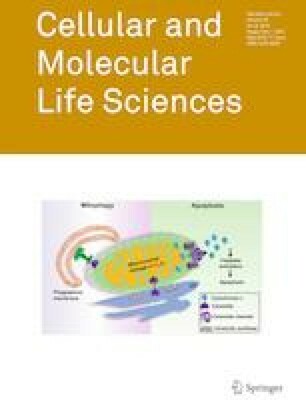 Overall, the strong anti-hypertrophic effects of IWP-2 involved inhibition but not silencing of pro-hypertrophic BMP and IHH pathways, and more advanced silencing of WNT activity as well as combined application of IHH or BMP antagonists should next be considered to install articular cartilage neogenesis from human MSCs. Solvig Diederichs and Veronika Tonnier contributed equally to the manuscript. The online version of this article ( https://doi.org/10.1007/s00018-019-03099-0) contains supplementary material, which is available to authorized users. We thank the microarray unit of the DKFZ Genomics and Proteomics Core Facility for providing the Illumina Whole-Genome Expression Beadchips and related services. We also thank Birgit Frey, Jennifer Reimold, Nina Hofmann, Franziska Heilmann, Felicia Klampfleuthner, and Ursula Kreuser for technical assistance and Svitlana Melnik for critical discussions.